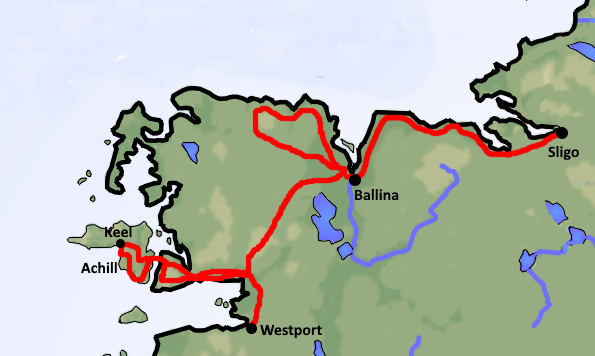 This bicycle tour is the ideal tour to let you explore the undiscovered parts of the Wild Atlantic Way, the counties of Mayo and Sligo on the West coast of Ireland. Despite their natural wonders and languid charm these two counties remain a well-kept secret, offering all of Ireland’s wild, romantic beauty but without the crowds. Mayo is the more rugged of the two, with scraggy peaks, sheer cliffs, heather covered moors and beautiful offshore islands. Sligo is more pastoral and its lush fields, fish-filled lakes and flat-topped mountains inspired William Butler Yeates to compose some of Ireland’s most ardent verse. Both counties boast grand stretches of golden sands and legendary breaks that lure surfers from around the globe. But there is also an improbably bounty of prehistoric sites, elegant Georgian towns, little fishing villages and good old-fashioned warm-hearted country hospitality. Combining all of the above makes this one of the most popular Ireland bicycle tours. Arrive in the bustling town of Westport, famous for it’s history and it’s heritage, which dates back to the 16th century. Visit the Clew Bay Heritage Centre at the Quay, Westport House and Gardens, or take a trip out to Croagh Patrick and walk in the footsteps of the thousands of pilgrims that climb the holy mountain of Ireland each year. Relax the evening away listening to traditional Irish music in one of the many bars, and enjoy the great food that the town has to offer. Depending on your arrival time we will meet you in the evening or the next morning for a personal introduction to your bicycles and the week ahead. Cycle the entire the length of the Great Western Greenway, the longest off-road walking and cycling trail in Ireland. The Great Western Greenway is a traffic free cycling and walking trail which follows the route of the renowned Westport to Achill railway which closed in 1937. Follow the Greenway all the way onto Achill Island. 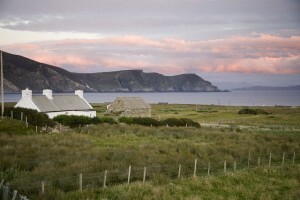 Stay on Achill island for two nights. 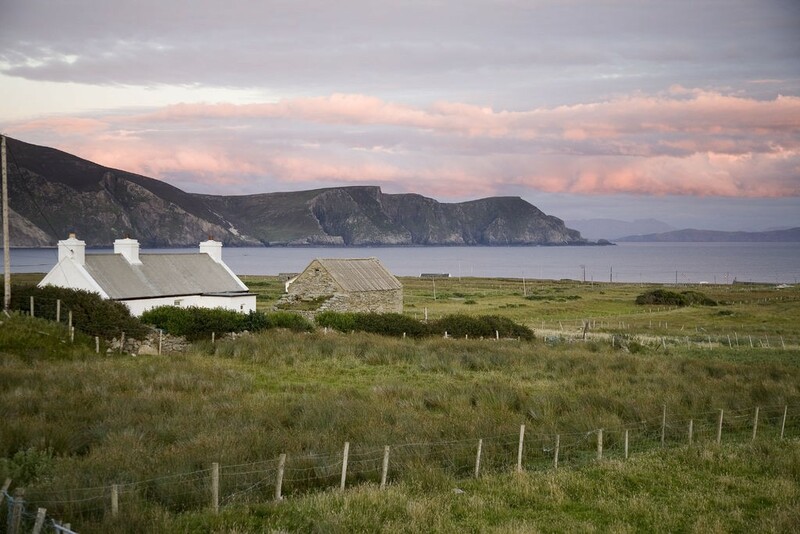 Marvel at the breathtaking coastal scenery that you will find everywhere on Achill Island whilst cycling the Atlantic Drive. Visit the Tower at Kildavnet, once home to the legendary pirate queen Grainuaile, choose to visit the deserted village and walk along sandy beaches that have re-appeared last year after being gone for decades. You may enjoy traditional Irish music in its pubs depending on availability. Leave Achill island behid and cycle round Curraun to Mulranny, from here return on the Greenway to Newport for te night. Detour to the beautiful ruin of Burrishooley Abbey. It was founded by Sir Richard de Burgo for the Dominican order in 1469. You will turn inland past the salmon research centre along Lough Feeagh and then into the remote hillsides of County Mayo. This is a very quiet and scenic road. 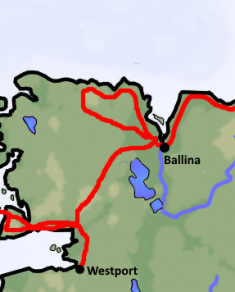 You are passing through the small town of Crossmolina and finish your day in Ballina. This colourful town is called the ‘Salmon Capital of Ireland’ due to the phenomenal fishing on the river Moy. The loop ride will bring you along the coastline past cliffs and many beeaches to the Céide Fields. The remarkable neolithic site at Céide Fields in County Mayo, Ireland, contains the oldest known stone-walled fields in the world, dating back nearly 6,000 years. You can also detour to visit Downpatrick Head standing 126ft above the sea with fantastic views of the Atlantic, the Staggs of Broadhaven and high cliffs along the shore. The small stone building at the top of Downpatrick Head is now used to view the many species of birds on ‘Dún Briste’. Your last day of bicycling, and it is a beautiful route along the coast to Enniscrone finishing in Sligo town. If you choose to, you can take a small detour to Carrowmore where you can take a guided tour of the Megalithic cemetery and tombs it is home to. 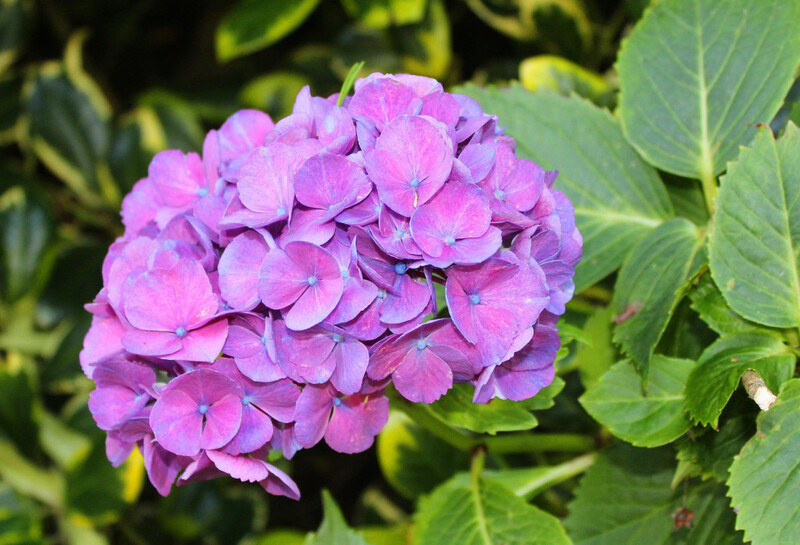 They are some of the oldest Ireland has to offer. Sligo is the hometown of William Butler Yeats and inspired many of his works, drawn spiritually from the county’s scenic landscape and sense of peace. Enjoy your final night of Irish fun! This self-guided Ireland bicycle tour is designed to stay in comfortable, friendly, wonderful guesthouses and small hotels such as underneath. Accommodations could be upgraded if you prefer. The house dates back to 1820, when it was built for the Minister of The Presbyterian Church. Although the Church is now gone, the house remains, and it’s charm has been retained with its exposed oak beams, thick walls and recessed doorways. There is a lovely guest lounge available for relaxing. And a secure bike shed at the bottom of the garden. Each bedroom has tv and tea & coffee making facilities and power showers. Recommended by the Lonely Planet , Lets Go and Dumont Guides. 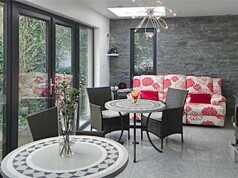 Pearse Lodge is a tastefully decorated non-smoking home. 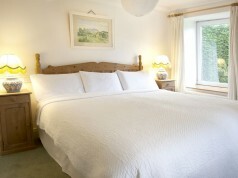 All Rooms are en-suite and have hairdryer and tea/coffee facilities. An extensive breakfast menu is provided to suit all tastes. Other facilities provided include Wi-Fi internet access.